It's about this time of year that we in Britain consider debunking into the garden to expose pasty limbs and hobbit-like feet to the warmer air. Pinning all our hopes on meteorological clemency, we plan our weekend barbecues and even entertain the idea that salad might constitute actual food. However, more often than not, the weather lets us down and a planned afternoon sur l'herbe becomes a quick Pimms before the familiar plip plip of raindrops moves the whole shebang indoors again. All the more reason to get the drinks just right. After all, if you only have time for a drink in the garden, you want to make sure it's absolutely delicious and will go some way to assuage the disappointment of another Great British wash out - and of course, if the weather does hold out, then you'll have time to try all three of these fabulous, fresh and fruity cocktails. 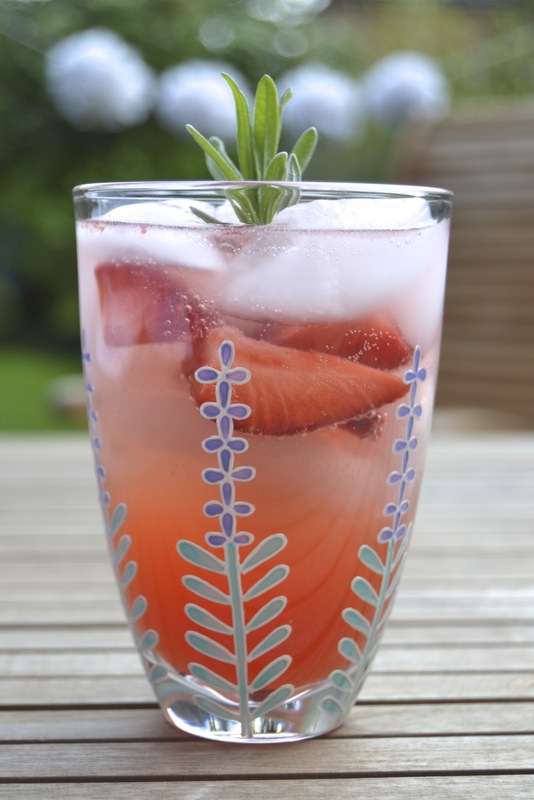 The Jardiniére cocktail, as the name suggests, takes its inspiration from the garden, combining the flavours of strawberry, rose and lavender in a subtly floral, long drink with plenty of fruit and fizz. The recipe calls for Chase Vodka because it is incredibly smooth with a slight sweetness and creamy finish that comes from the traditional and artisanal distillation of the King Edward and Lady Claire potatoes it is produced from. Incidentally, it is also gluten free which will be welcome news to Coeliac sufferers. Lavender syrup is available to buy online, but can be made quite simply at home and will last for months in an airtight container. You can use fresh lavender flowers if they are in season or dried, culinary lavender which can be purchased all year round from Lavender World. Chop the strawberries into quarters and set four aside. Add the remaining quarters to the bottom of a shaker and squish to a pulp. Add the vodka, rosewater and lavender syrup and mix together. Shake the mixture along with a handful of ice and strain into an ice filled tall glass. Pop in the remaining pieces of strawberry and top up carefully with Prosecco. Stir with a swizzle stick to mix and garnish with a sprig of lavender. Tip - if you gently smack the lavender between your palms before garnishing, it will release it's beautiful, floral scent. Clementines are characteristically sweeter than their larger cousins, the orange, which makes them perfect for this gin based cocktail. The addition of elderflower liqueur adds a floral element and a touch of thyme gives an extra fragrant layer to the drink, all of which combine to create a very fresh, light flavour. Whitely Neil Gin is a good fit with this drink as the Baobab tree fruit and aromatic cape gooseberries in its distillation, give it plenty of fruity, citrus zest. Gently muddle (squish) the thyme along with the gin and elderflower in the bottom of a cocktail shaker. Squeeze the juice from the clementines and add to the shaker along with a handful of ice. 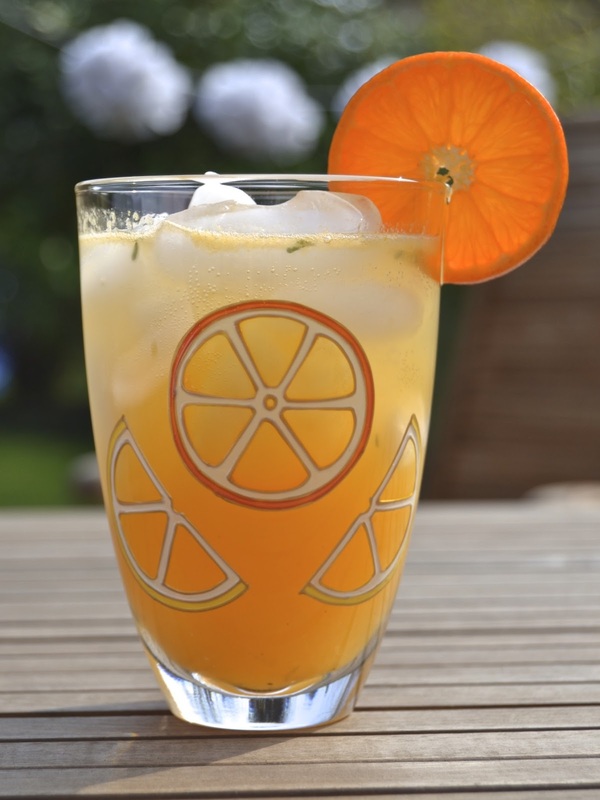 Shake hard and strain into a tall glass filled with ice and garnish with the citrus wheel. Creamy cocktails are not usually considered to be particularly fresh and light, but the proliferation of fresh raspberries in this cocktail make it surprisingly refreshing and utterly delicious. The inspiration came from the traditional Scottish dessert of the same name, that like this cocktail, features raspberries, honey, cream and whisky. In addition to whisky, this drink features Absolut Raspberi vodka which is naturally flavoured and stops the whisky overpowering the mix. Like the dessert, the whisky is a subtle undertone, which isn't to say that you shouldn't pick your scotch carefully. In this instance, nothing too peaty or smokey, but a light, honeyed single malt such as Jura Origin is ideal. Set aside 3 or 4 raspberries to add whole to the glass. Press the remaining raspberries through a fine sieve to remove the pips and collect the juice in the bottom of a shaker. Add the rest of the ingredients with a handful of ice and shake hard to mix. 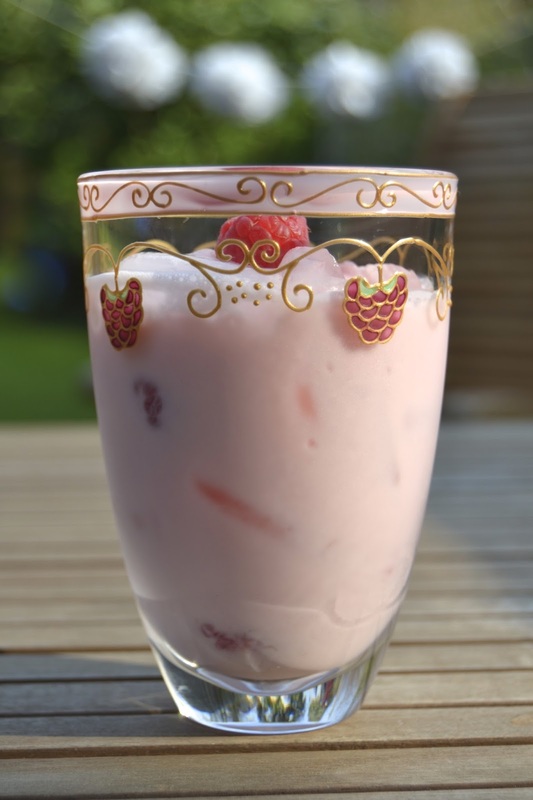 Strain into a tall glass filled with ice and the remaining raspberries. Never let it be said that Toasted Glass would miss out on a cocktail opportunity and despite having no Latino connections whatsoever and only a rudimentary grasp of Spanish, Mr TG and I decided to embrace with open arms, the alcoholic potential of the Cinco de Mayo celebrations. To begin, make the fresh watermelon juice by pressing a few cubes through a sieve and collecting the liquid - discard the seeds and pulp. Add the tequila and cucumber to the bottom of a shaker and gently muddle (squish). The idea is not to liquify the cucumber so don't worry if it stays fairly whole - the flavour will leech out. 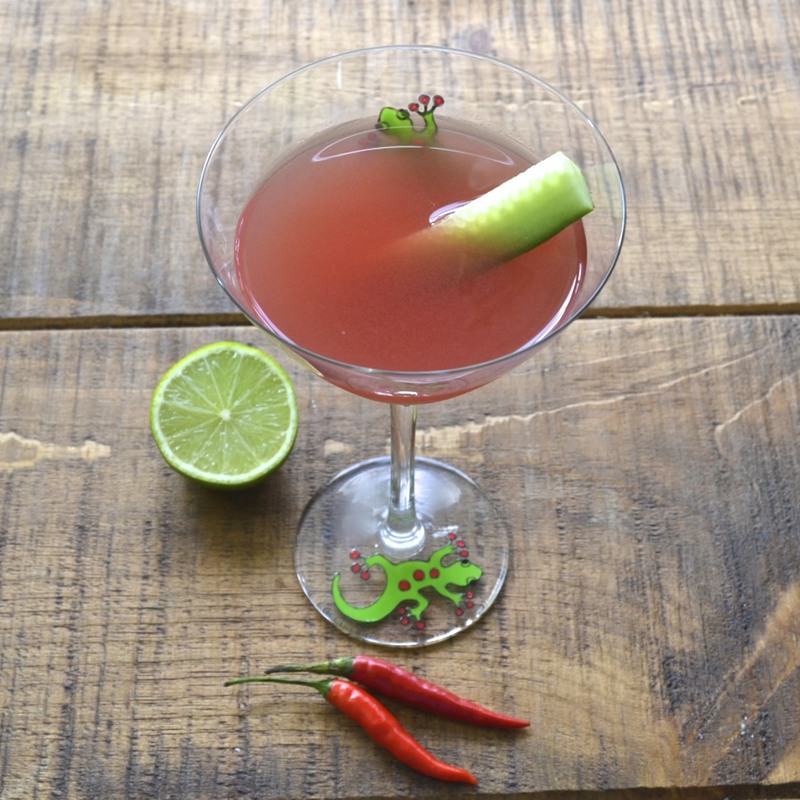 Pour in the watermelon juice and add the sliver of chilli and a dash of simple syrup. Squeeze the wedge of lime into the shaker and discard the pith and peel. Shake hard with ice until the outside of the shaker has a frosty bloom and strain into a chilled martini glass. Add the tequila, triple sec, lime juice and salt to a shaker with ice and shake hard. 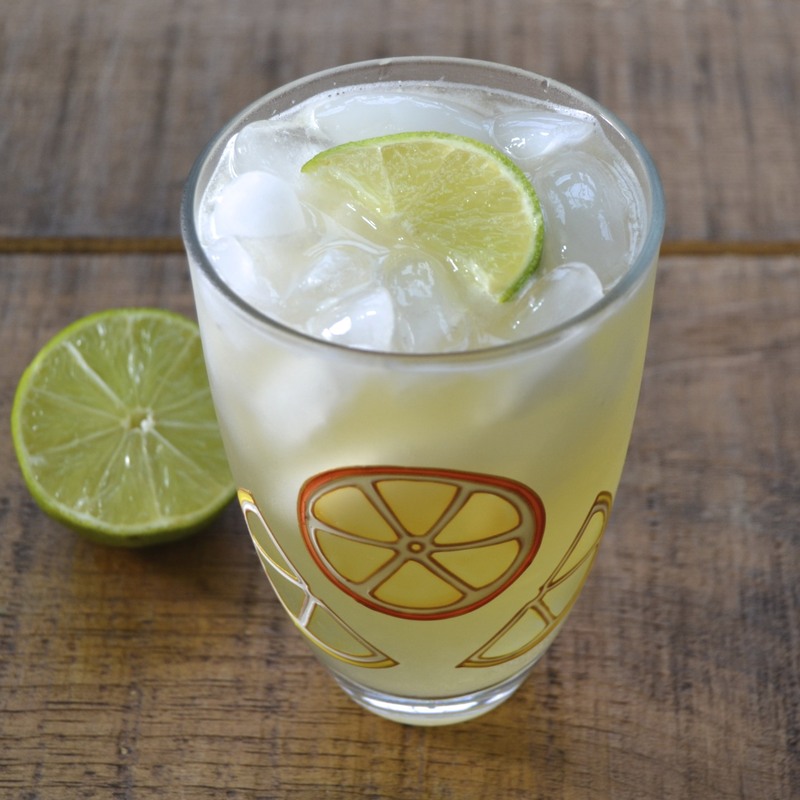 Strain into a highball with ice and top up with a light Mexican beer such as Sol or Corona and stir gently to mix. 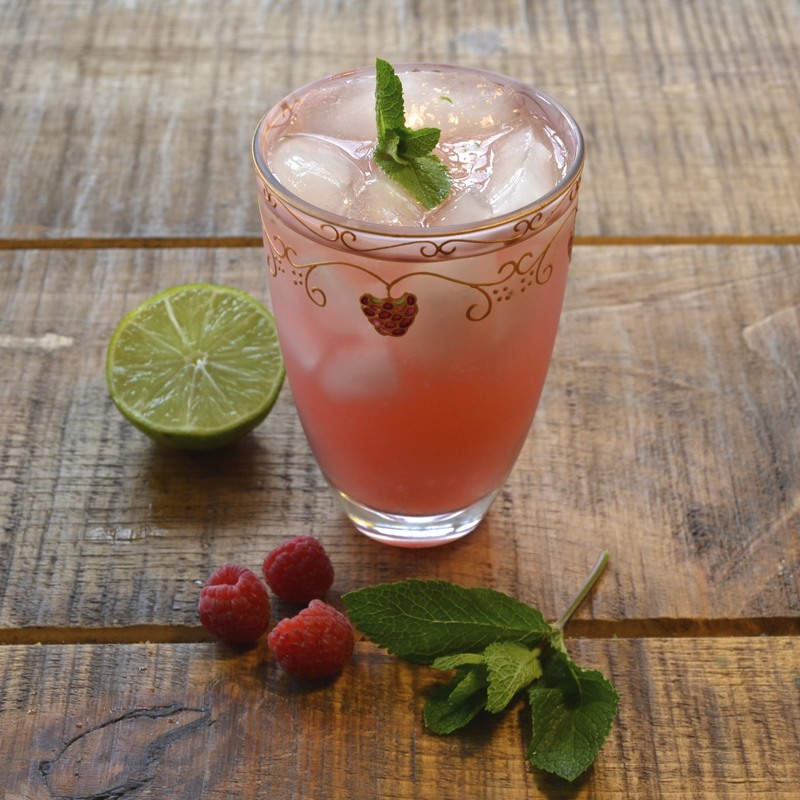 This next drink is an adaptation of a Mojito, using silver tequila in place of rum and with the addition of a little fresh raspberry which not only adds to the flavour but creates a magnificent colour. Sparkling water to top up. To begin, press the raspberries through a sieve with the back of a spoon, collecting the juice in the bottom of the shaker and discarding the pulp and seeds. Add the tequila and mint and gently swish to release the essential mint oils - don't overdo it or the flavour becomes 'grassy'. Add the lime juice and simple syrup with a handful of ice and shake hard for about 20 secs. Strain (or double strain if you don't want any bits of mint floating) into an ice filled highball glass and top with a little sparking water. 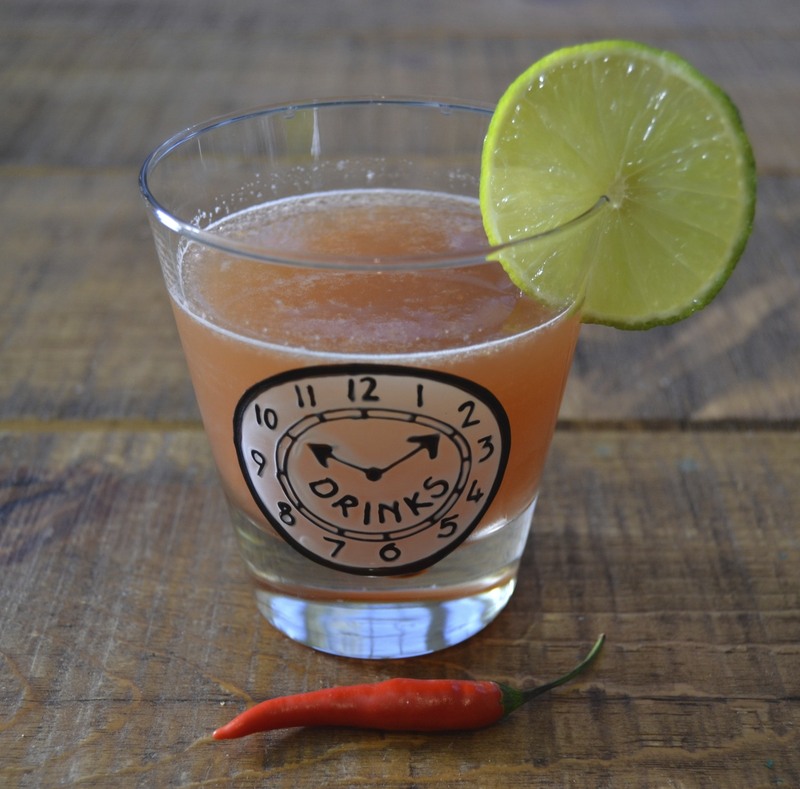 No Cinco de Mayo celebration would be complete without a nod to the Micheleda, the Mexican beer cocktail that has many variations that range from the simple addition of lime and salt to more complex variations involving chilli, clam juice, tomato and worcester sauce. Never ones to shy away from the complex, this TG Micheleda chucks it all in the mix, (bar the clam juice as Mr TG didn't fancy that much) and despite our reservations, it turned out to be delicious, not too mention relatively innocuous in terms of alcohol. Add all of the ingredients to a shaker with ice and stir to combine until the outside of the shaker frosts over. Strain gently into a tumbler and garnish with a lime wheel.